With our high concern for good quality and food safety, we only select farms with Good Agricultural Practice (GAP) standard or higher. 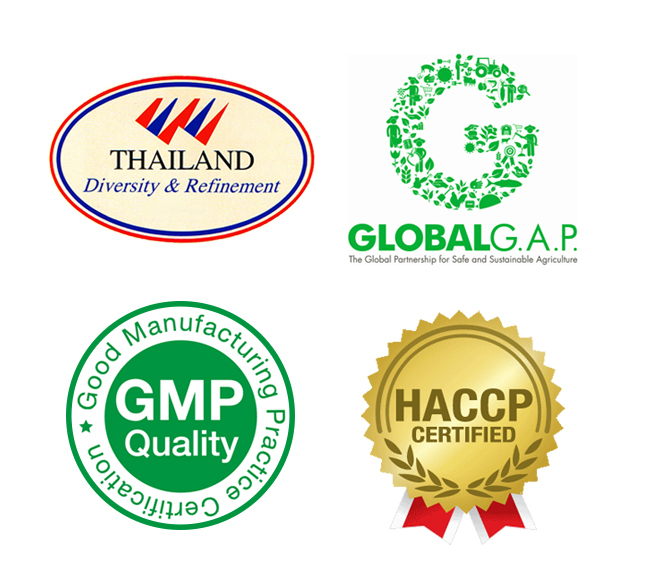 We source quality products right from the field to our packing facility, following GMP and HACCP international standard. With our strict standard and postharvest knowledge, we ensure our produce is of fresh quality and of superior presentation until it reaches our customers worldwide. 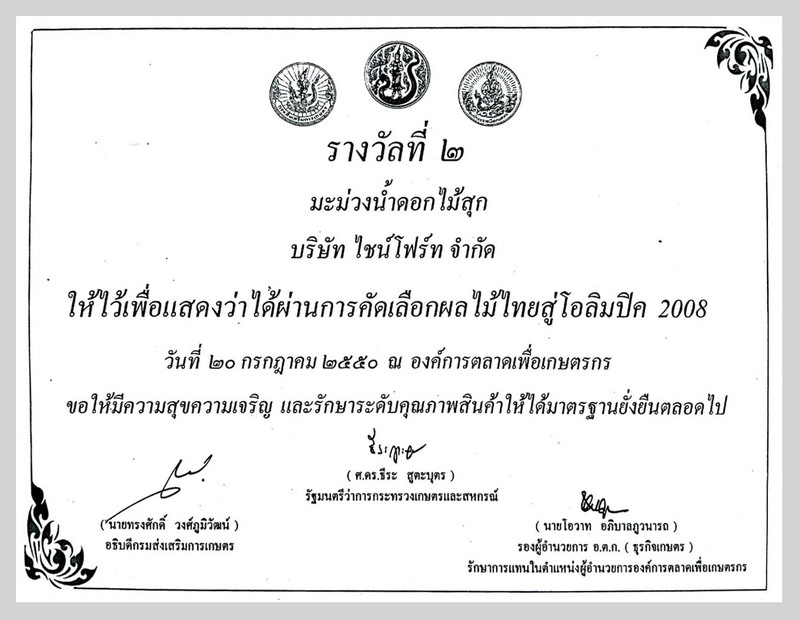 Shine Forth received 2nd prize for high quality agricultural produce and got selected to provide fresh Nam Dok Mai mangoes for athletes at the Olympic games 2008.